Encouragement is the basis for development of human potential in children and adults. It is the source of motivation for effective actions, goals and interpersonal relationships. Encouragement permits individuals to overcome setbacks and adversities, to have respect for self and for others, to be optimistic and to meet life's challenges. 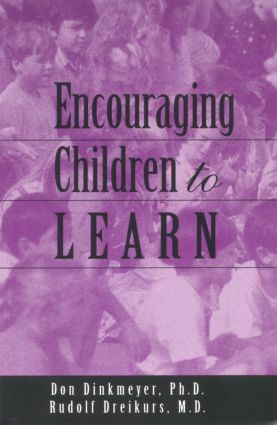 In an era that has witnessed high rates of depression, anxiety, suicide and violence, Encouraging Children to Learn provides crucial and well tested encouragement methods for improving attitudes, goals and actions.